Gilles Aubry is a Swiss sound artist, musician and researcher living in Berlin. His practice is based on a performative approach to field recording, documents and historicalsources, often including collaborations with other artists, musicians and researchers. 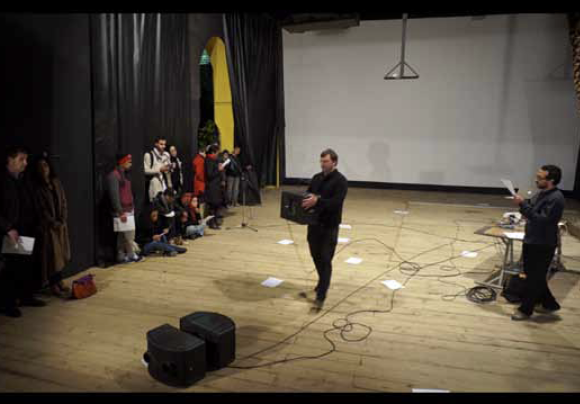 He critically addresses listening, sound practices, music, technology and environmental voices, examining their relations to power structures and ideologies in various contexts. Using formats such as installation, live performance, film, publication and radio, he creates works that playfully reconfigure materials and discourses into speculative spaces for shared experience and reflection.